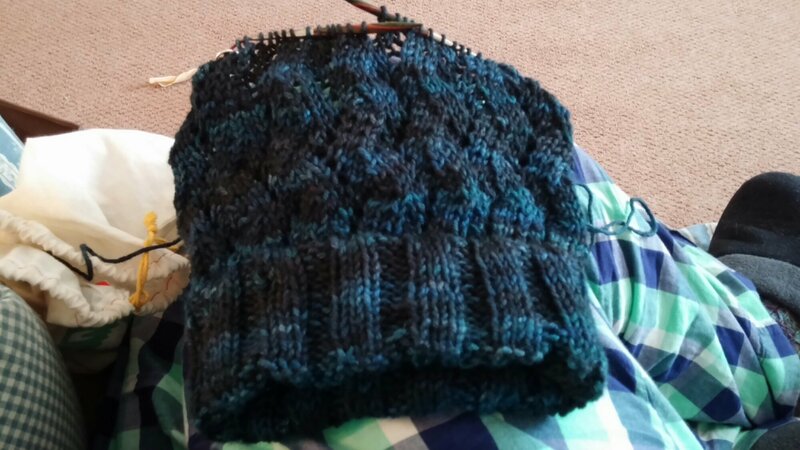 That’s the North Wind hat pattern by Felicia Lo (sorry no links as I am on my phone) knit with Verdant Gryphon Mondegreen in my new favorite color: Slow Motion Walter, Fire Engine Guy. 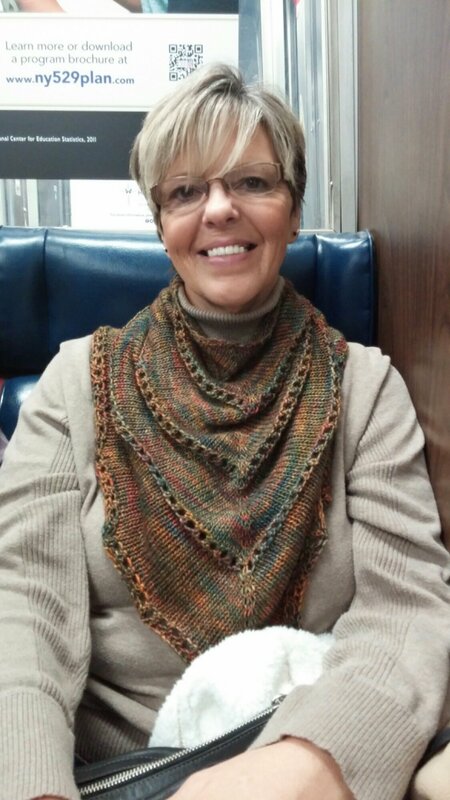 Horrible train lighting and all, she looks wonderful and I’m so happy with the way the shawl turned out. Today’s theme: being grateful for the little things. Wishing you all the best!